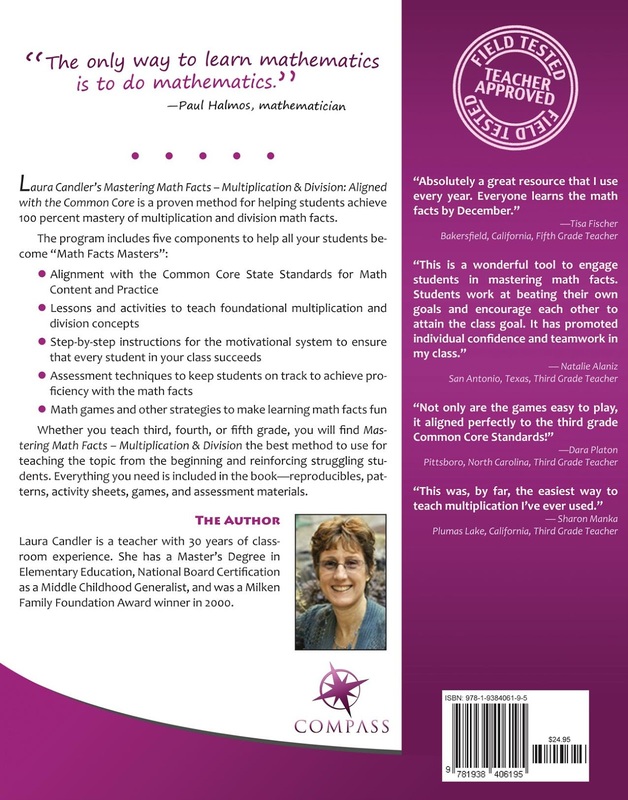 I was thrilled when Laura Candler's team offered me an opportunity to review a new product- Mastering Math Facts. I was even happier when I opened it and saw really what it was made of. 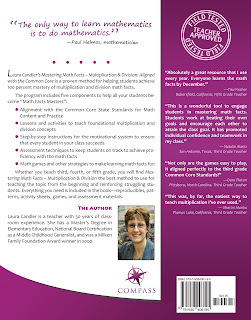 I've used her other products when I taught multiplication for the past two years and really loved what she had to offer previously---so I knew this one had to be great. First and foremost this product is available through an Ebook on Teachers Pay Teachers. You can find it HERE. You can also find it bundled with other resources on their TPT page for a discounted price. Check them all out before you make your purchase. This is something you don't want to miss out on for sure! Chapter one starts out with a short preassessment by "showing what you know" (actually it has two) and the book explains the concept and importance of understanding and not just memorizing. One of my biggest pet peeves while teaching third grade was having my students tell me, "I don't know 7x6 (blah blah)". Hello friends, what strategies have I taught you?? Those foundational skills are so important and this book gives you tools to teach that within your room. 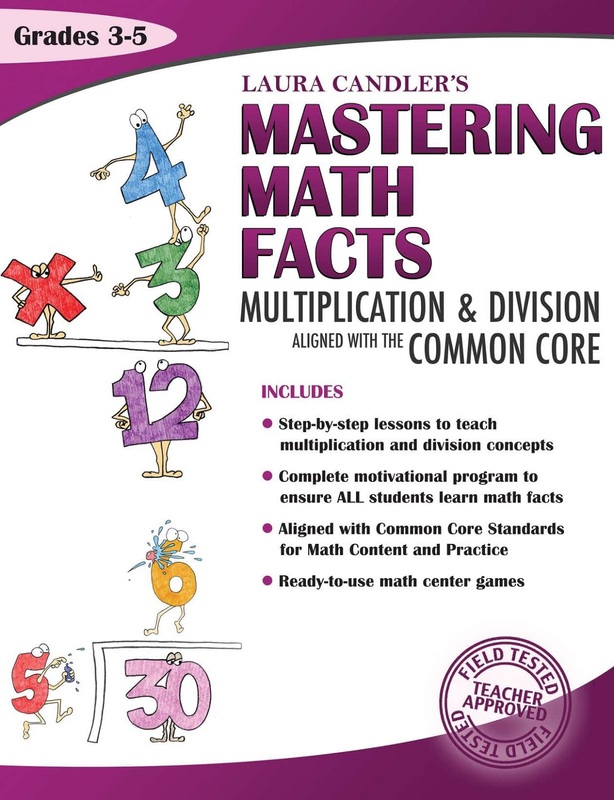 It also provides you with an outline of what order you should teach your whole unit of multiplication and division in. It is so user friendly! Chapter one has about 80 pages of activities. 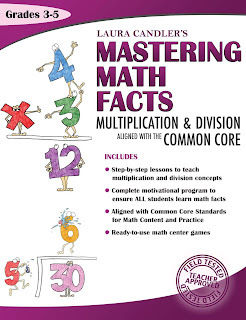 Chapter two is all about mastering math facts. It starts with a teacher breakdown and provides you with a game plan. It then goes into testing fluency and motivational programs. I love the award at the end that you give students upon completion of their fluent facts. I always make a huge deal out of those students and they love it. Chapter three is probably my favorite. It provides an ample amount of assessments that gradually introduce more facts. The book also provides you with online resources to visit. I was really impressed by the hands on activities that this ebook provides. It really makes the students involved and provides excellent resources for learning the foundations of M&D NOT just mastering facts. Last spring I have a new girl in my class from a nearby town. She knew all of her math facts as quick as a whip. We were so amazed by her and her ability to recall this information. She struggled in all subjects but was the multiplication queen. Once, she did fail a quiz and I asked her to redo it. She immediately broke down in tears telling me she didn't know how show her work on multiplication she just knew the answers. I was amazed and heartbroken. This poor child had no idea even how to show her work for 3x3. She just knew the answer was 9 because that is what someone told her. It is so important as educators we do not let this happen. I wish I would have had this resource then to help her learn everything I had already taught. It would have made life easier. Check out the ebook here! *This is a review of my own thoughts and beliefs I was not paid for this post. Check back next week to see the progres of my classroom and for an AMAZING back to school giveaway!! Happy Sunday!